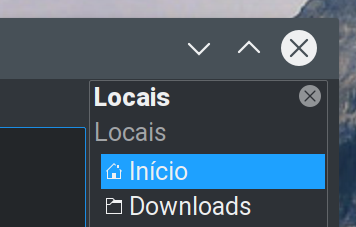 Almost all KDE apps need better typography and components alignment, I'm waiting for someone to better organize at last the most used apps like dolphin and settings panel, we have soaked text and unaligned panels and components everywhere, panels not resizeable, labels overflowing, etc. Lack of general polish is one of the big reasons I don't use KDE. Putting feature set to one side, when you look at how well designed Nautilus is compared to Dolphin, Nautilus 'looks' better. That's not very nice, but you forgot to lock the panels: [CTRL + M], View > Panels > LTFP. It removes the panel border, but still we have bad alignments, panels we cannot resize in the new settings panel, and other things like panels that did not talk to each other, in terms of alignment, bad use of space (everything soaked in the center or overstretched only horizontally or only vertically, with minuscule borders), etc. It is not the end of the world, but it really do not produce good feelings while looking and now that the interface is almost flat it is getting a little confuse to quickly scan the interface. I have nothing against this new tendency of flat interfaces but they depend a lot on alignment and typography to be clear. I just tried and it worked for me. Recent KDE. Though I didn't try with a tiling shortcut. Really? On X11? I don't think it was an issue for Wayland, but I had been given official response that it was a problem with X11, there was a 10 year old bug from it on the bug tracker too, this was probably 1-2 years ago. Just so we're clear that's numpad not numrow right, so that you could visually map the numpad to regions of the screen for tiling shortcuts. Numpad worked for the shortcut I tested. It showed up as Ctrl+Num+5 (or w/e I did). So it works. Oh. Maybe it just doesn't work with Meta then? Meta+Num+5 works for clearing clipboard history.